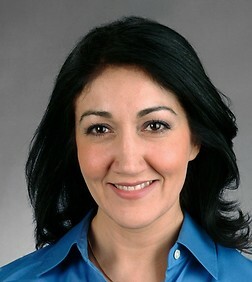 Mona Solouki is a special counsel in the Antitrust and Competition Practice Group in the firm's San Francisco office. Ms. Solouki specializes in antitrust issues arising out of the enforcement of standard essential patents and other intellectual property rights. Ms. Solouki also specializes in defending individual and nation-wide class action lawsuits under both state and federal antitrust and consumer protection statutes. Ms. Solouki's experience includes managing complex antitrust actions from inception to trial through discovery, motion practice, and trial preparation. She is also experienced in working with economic experts on liability and damages issues, and has taken and defended expert depositions. Ms. Solouki is a member of the California Bar. She is also admitted to practice before the Ninth Circuit Court of Appeals and the District Courts for the Northern, Southern, Central and Eastern Districts of California. Ms. Solouki appears before both state and federal courts and also has experience in private arbitration before the Court of International Chamber of Commerce. Represent Samsung Electronics in global patent and standards related antitrust governmental proceedings, and private antitrust actions involving major technology companies, including Apple (2011-present). Defend Samsung Electronics in DOJ antitrust investigation of standard essential patents (SEPs), investigation closed (2014). Other case experiences include, among others, In re CRT Antitrust Litigation, In re Lithium Ion Batteries Antitrust Litigation, In re LCD Antitrust Litigation, In re SRAM Antitrust Litigation; Rambus Inc. v. Micron Technology, Inc., et al. ; DRAM Claims Liquidation Trust v. Hynix Semiconductor, Inc. et al. ; and In re DRAM Antitrust Litigation.